Laura and Eric work together at an outdoor adventure company (and love cats), so I knew right away that we were going to get along. They chose to have their engagement session at Surreybrooke Gardens, one of their favorite places near their home in Frederick, Maryland. 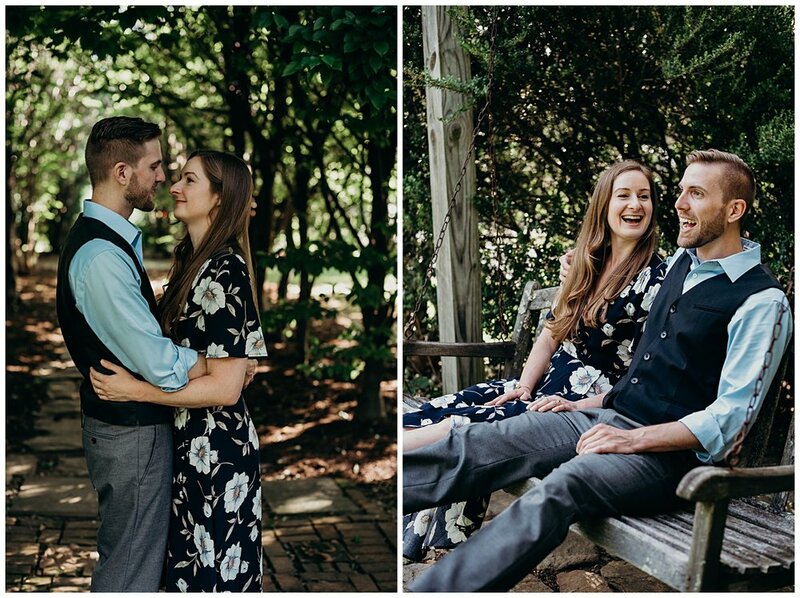 We met at a cute coffee shop in downtown Frederick to get to know each other a bit before driving to the Gardens for our session. Laura is so genuine and kind, and Eric is an amazing storyteller. They have been together for nearly a decade, and their chemistry, passion, and silliness made them such a blast to work with. I felt like we were instant friends, and it was such an honor to third wheel on this date with them. 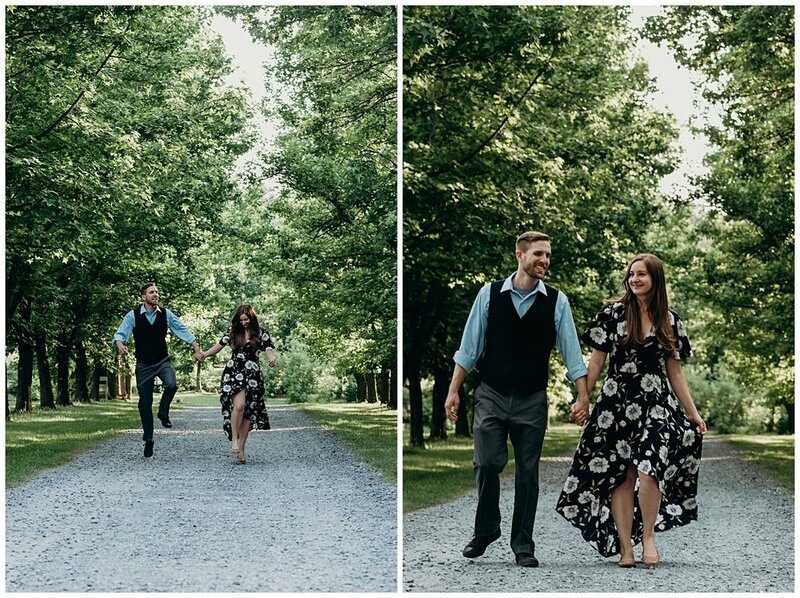 It’s hard to believe I could be any more excited about photographing their Shenandoah wedding this fall, but during our session, they told me that they plan to hike the Appalachian Trail in the days leading up to their ceremony. Swapping out the hectic feeling of the last days leading up to the wedding by backpacking to their gorgeous venue on Skyline Drive feels so perfect for this adventurous duo. I can’t wait to meet them there at the end of their hike, and the beginning of their marriage!